In this article I’m going to discuss how to find and Whitelist specific ModSecurity rules that might be causing 406 errors on your websites on either your VPS (Virtual Private Server) or dedicated server. The rules that ModSecurity uses can help block potential attack attempts from malicious users upload malware to servers, but sometimes it can also block legitimate upload requests, and knowing how to go in and find what rules are getting triggered and how to whitelist them can be handy. 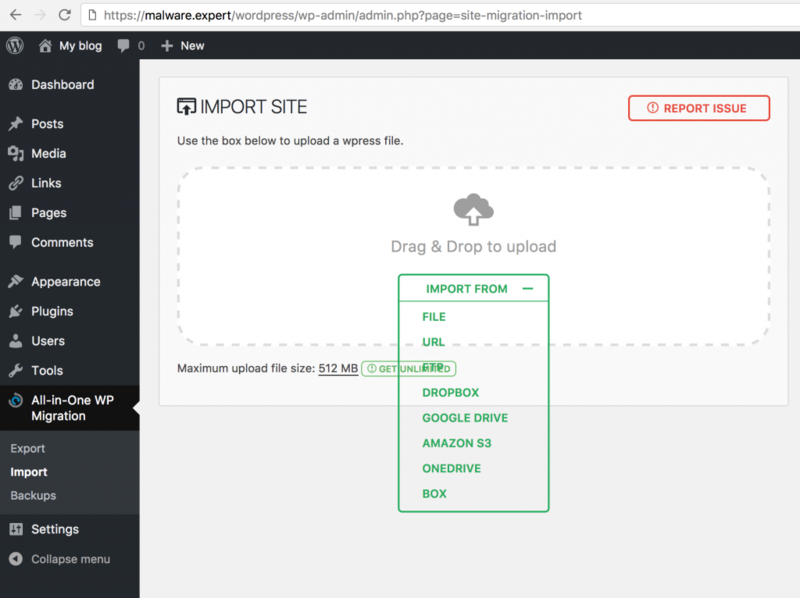 This tutorial we using WordPress with All-in-One WP Migration plugins, that allow import/export your WordPress installation to any server. Sometimes this cause false/positive alarms with ClamAV scanner with Malware rules. First we need find ModSecurity rule that blocking upload to server. This usually found in Apache error.log or if shared webhosting environment then domain error.log. That rule is in /etc/modsecurity.d/runav.conf file. "phase:2,t:none,block,msg:'Virus found in uploaded file',id:'950115'"
Now we need find POST payload that we can make Whitelist rule for that. When we try import old WordPress site with All-in-One WP Migration, we get this POST payload and filed import. Producer: ModSecurity for Apache/2.9.1 (http://www.modsecurity.org/). We need ModSecurity SecMarker directive to whitelist specified rule that block Apache Upload scan. SecRule REQUEST_METHOD  "POST"	"id:950100,phase:2,t:none,chain,pass,skipAfter:IGNORE_CLAMAV_SCAN,nolog,msg:'Malware expert - All-in-One WP Migration'"
SecRule REQUEST_URI	"@contains /wp-admin/admin-ajax.php?action=ai1wm_import"	"t:none,t:lowercase,t:urldecode,nolog"
There is another ways also remove rules, example SecRuleRemoveById, but is simple and if you need get more whitelist rules, just add them before Orginal rule.